This is an important dish. Even if it is very delicate, it has a long preparation and therefore should probably be reserved for special occasions. Here are the ingredients that you will need and the method to follow in order to prepare this delicious dish. 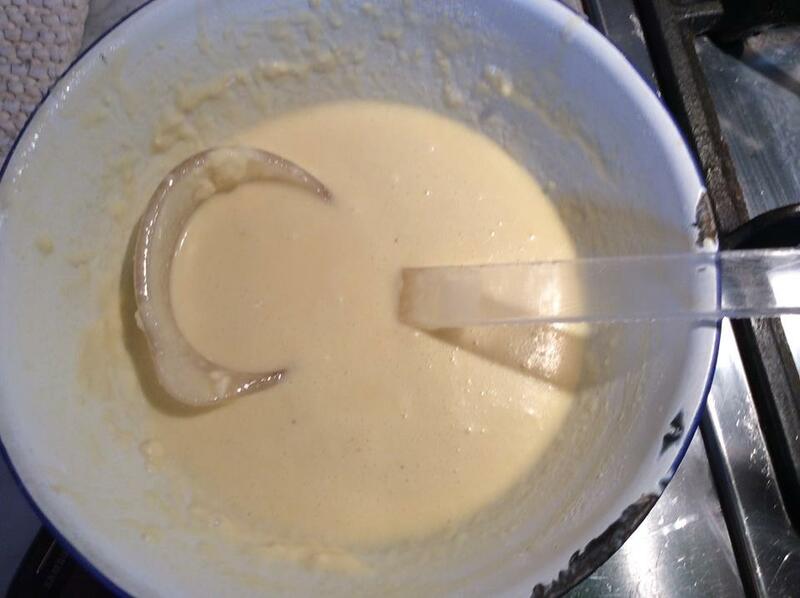 In a large bowl, place the eggs, flour, melted butter, milk and a pinch of salt. Mix together until you obtain a smooth consistency without lumps. 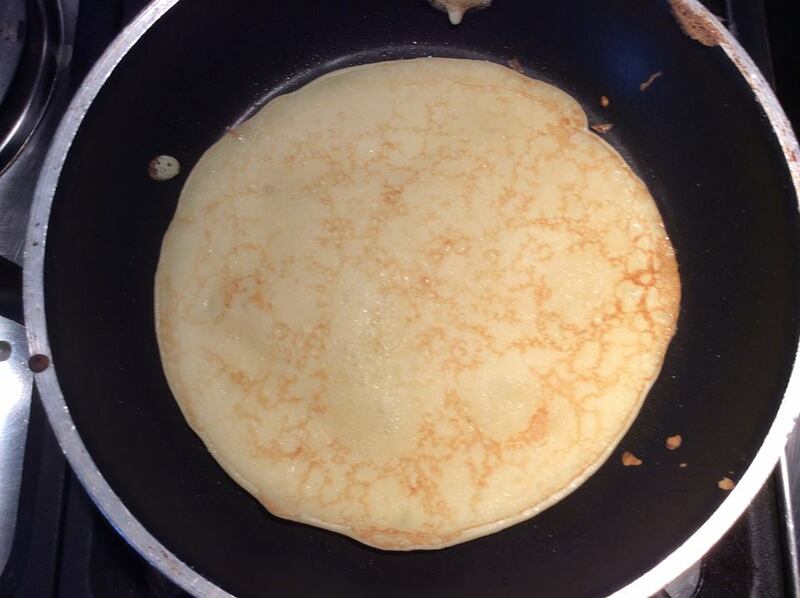 Heat a small non-stick pan on the stove and pour in some of the mixture, enough to form a thin crêpe. As soon as it has thickened, flip it with a spatula and finish cooking. Proceed in this way with the rest of the mixture. You should be able to make 14-15 crêpes with the prepared mixture. Once completed, put them aside to rest. Clean, wash and chop the pumpkin into cubes. Sauté the onion and chopped garlic in oil. When they have become golden brown, pour in the pumpkin and let it be flavored by the onion and garlic. Add salt, pepper and chili pepper. Cover and leave to cook at medium heat until the pumpkin flakes apart. After about 15 minutes, uncover the pan and raise the heat so as to evaporate the water. Following this, allow the pumpkin to cool and then blend to a purée with an electric mixer. Clean and cut the garlic very finely. 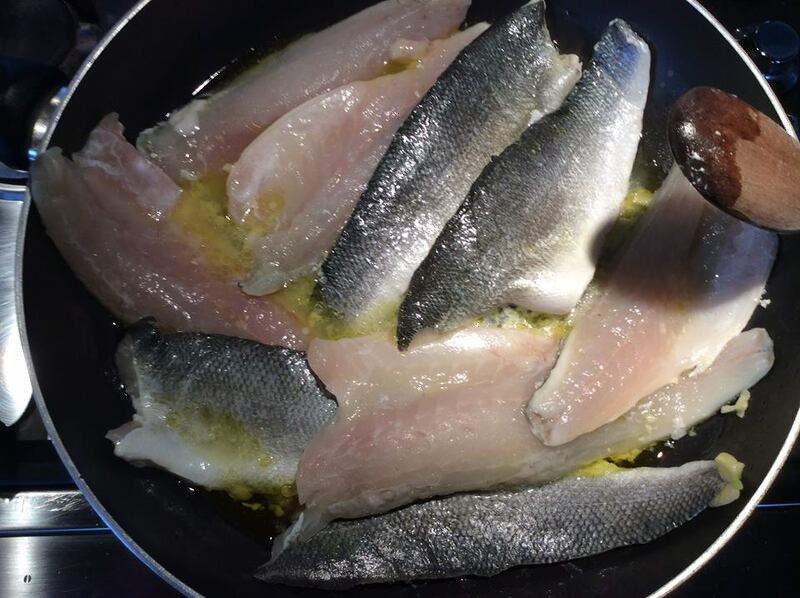 Heat the oil and garlic in a large pan; place the bass fish fillets in the pan and leave to cook for about 10 minutes; season to taste. After having taken them off the heat, take off the skin and lightly flatten them with a fork. Place the butter in a saucepan. 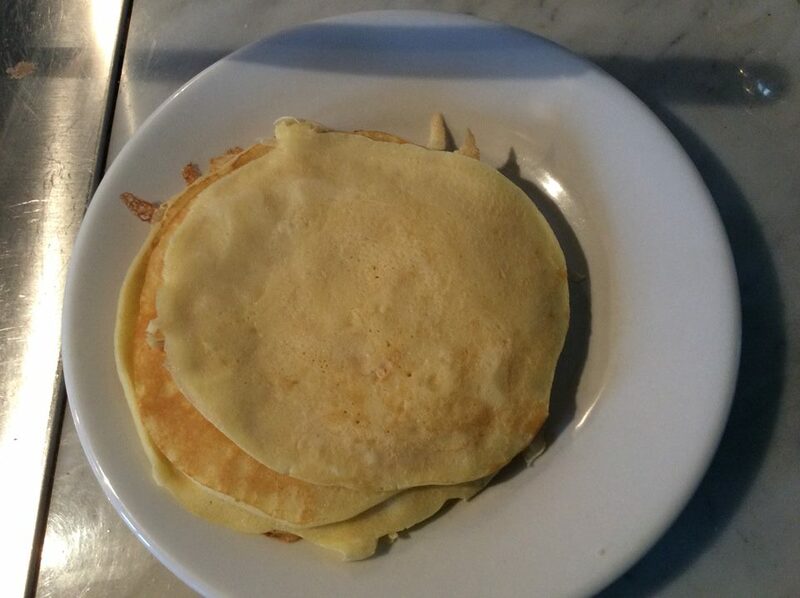 When melted, add flour and stir together until it is no longer golden. Add milk and broth and continue to stir until the mixture coagulates. Season to taste. Take off the heat and allow to cool. It is very important to use the béchamel sauce only once it has completely cooled down. At this point you can begin to make the crêpes. 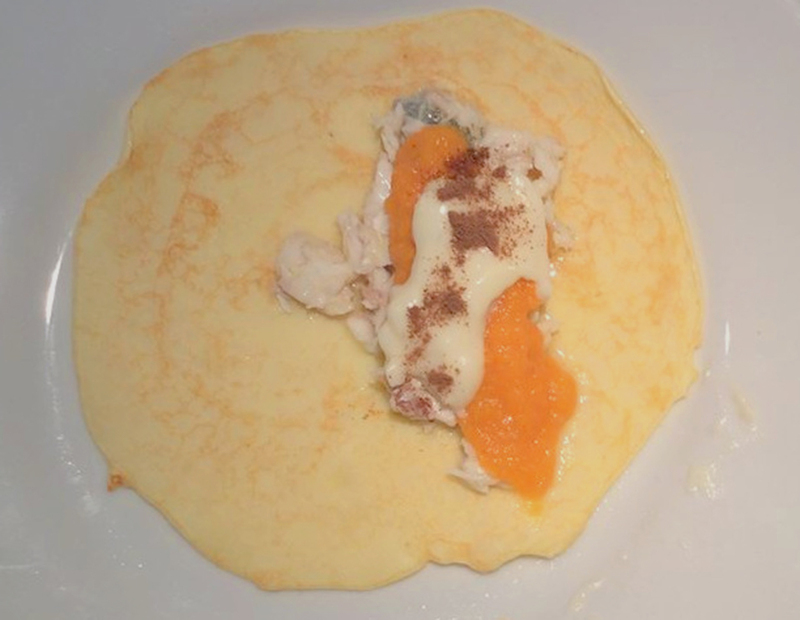 To fill each crêpe, use a tablespoon of bass fish, a tablespoon of pumpkin cream and a teaspoon of béchamel sauce. Add pepper and close the crêpe. 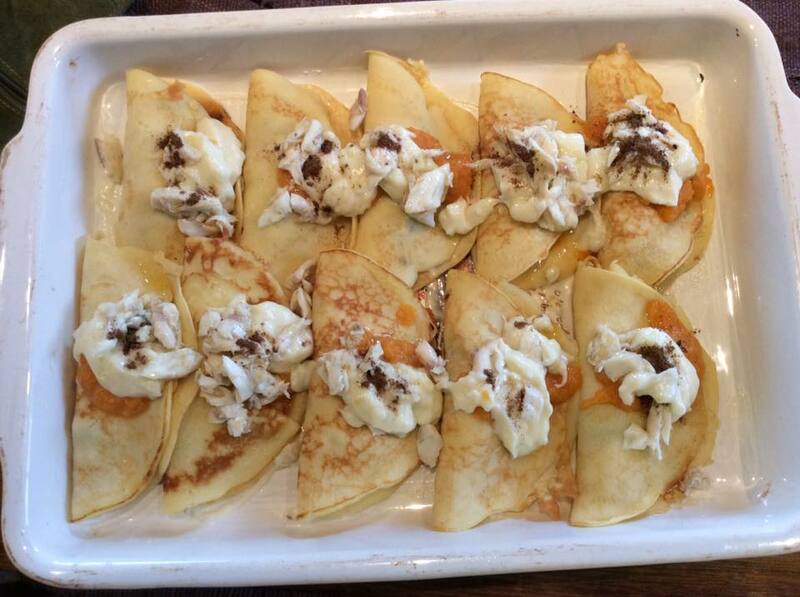 Lay the crêpes in an oven tray after having already laid the base with a thin layer of béchamel sauce. Pour a thin layer of pumpkin and béchamel over the crêpes. Dust with pepper. Bake at 200 degrees for about 15 minutes. 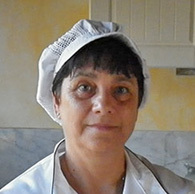 I advise to prepare the crêpes a day ahead, so that the better part of the work is already done. Even the pumpkin cream can be conserved in the fridge for a day. Try to substitute the classic black pepper with Jamaica pepper to give the recipe an exotic edge. It is lighter and pairs well with the pumpkin. Definitely a still white from Triveneto, for example a Friuli Grave.